Allister not only manufactures electric garage door openers but also gives people the chance to find spare parts and accessories from gears to remote controls. After all, most of the company's garage door remote clickers match with most openers produced by Allister. The company introduces a large scale of many choices among openers: ARD-IIA, ACCESS 200/250 and ACCESS 2000/2500, the 6000/6500 series and PDQ. There are several differentiations among these opener systems and certainly improvements over the years. 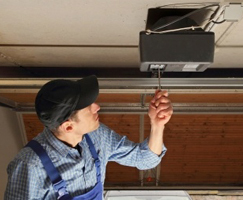 Today, almost every modern Allister garage door opener integrates the necessary safety sensors since it is vital for all manufacturers to comply with the UL 325 regulations. 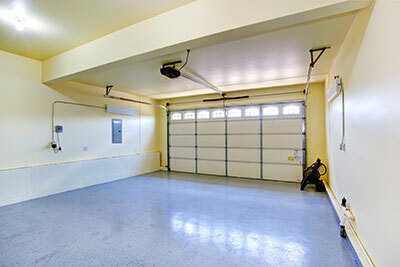 All electric garage door openers must have photo eyes installed at the two sides of the door and a reverse mechanism, which will change the route of the door should an obstruction be found in the door's way. Allister openers do include these features plus gives customers the ability to close down the door in case there is no obstruction under the door but failure of the reverse mechanism. With constant contact operation, homeowners can close down the door and avoid security problems. The particular feature of Allister garage door opener systems is their inclusion of a close limit switch, which overrides the sensors but only at the very last inch of the door from the floor. This system closes down the door even if the sensors sense an obstruction under the door. Since the door would have already descended to the last inch, the obstruction at this point is only small elements or dirt, so there will be no harm done; on the contrary, this system ensures the door is shut down and security issues are avoided.